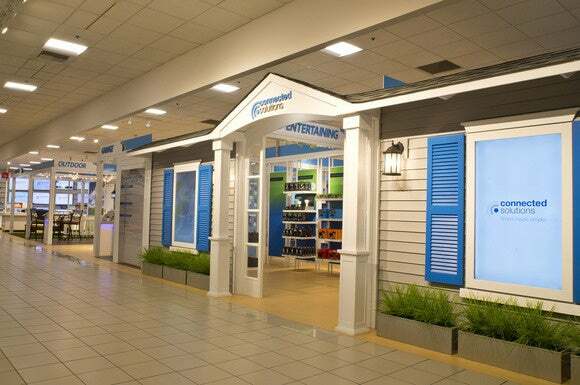 The nationwide retailer is expanding its connected-home inventory online and in hundreds of brick-and-mortar stores. Sears vs Target: Which store operates the best connected-home showroom? If you’re still looking for proof that the connected home is going mainstream, consider that Sears—one of the nation’s oldest and largest retailers—just opened a 4000-square-foot store-within-a-store staffed by personnel trained to demonstrate nearly every component you’d need to build out a smart home. The flagship store is located inside a larger Sears store in San Bruno, California, midway between San Francisco and Silicon Valley. It’s set up like a typical home—complete with a bedroom, kitchen, living room, nursery, fitness room, garage, patio, and front entrance—where employees can demonstrate products designed for each space. You’ll find wireless entry locks in the front-entrance area, for instance, and Wi-Fi baby monitors in the nursery. Products such as streaming boxes and smart TVs are in the living room, while network-connected garage door openers are in the garage. Sears also sells routers, smart-home hubs, lighting systems, and more. The store has 1000 products in inventory. “We’re trying to move this space beyond the early adopter and into the mainstream," said Sears’ President of Consumer Electronics and Connected Solutions Ryan Ciovacco. Sears Connection Solutions departments will be organized to match the rooms in a home: Living room, bathroom, garage, and so on. Why this matters: Sears is about as mainstream as it gets. While the retailer is much smaller than it was in its heyday, it owns a number of very strong brands—including Craftsman and Kenmore—and it has brick-and-mortar stores just about everywhere in the country. Equally as important, Sears has a nationwide network of technicians that can install smart-home devices in customers’ homes at reasonable rates. Hard-core DIYers will scoff at the idea of hiring someone else to set up their smart homes, but the more mainstream connected-home systems become, the less they’ll cost for all of us. And the tech support Sears is offering its customers could mean fewer friends and family members pestering you for the same. 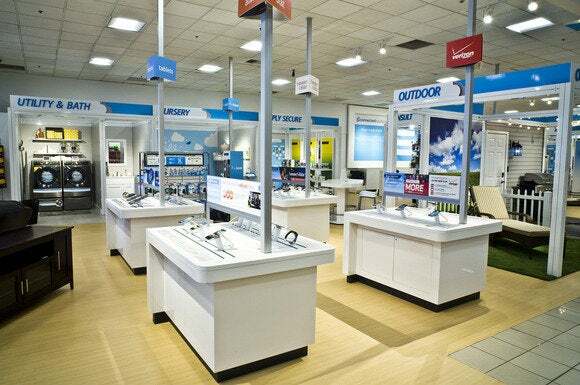 Employee expertise, installation services, and tech support are other areas in which Ciovacco said Sears will differentiate itself from competitors such as Lowes and Best Buy. Sales associates are trained in how disparate products can work together, whether it be something as complex as a Vera home-control hub or as simple as writing IFTTT recipes. Installation services for devices such as in-wall light switches and thermostats will cost extra, but tech support will be included in the purchase price of any connected-home device Sears sells. Prices will vary by region, but this list seems reasonable if you're not the DIY type. 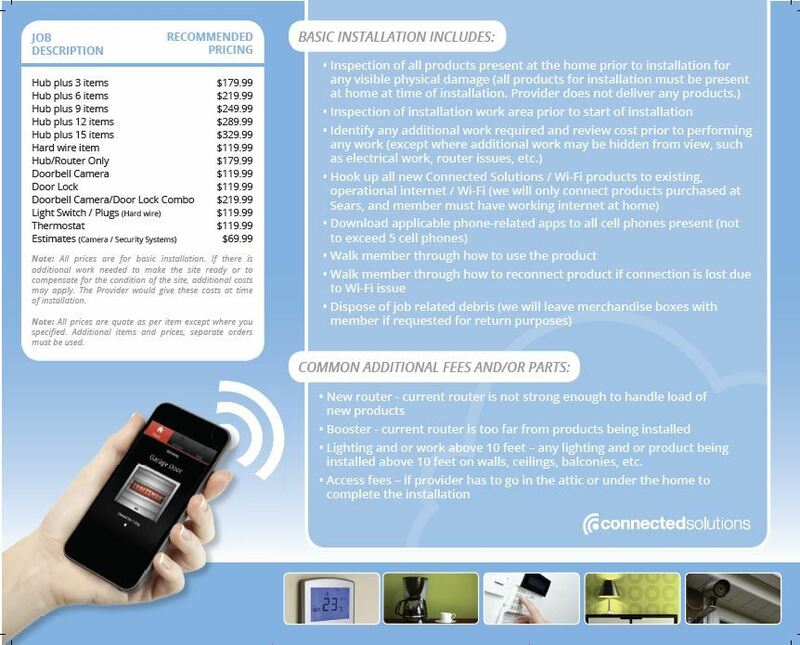 The cost of installation will vary by location and is based in part on how far the customer’s home is from the store. But Sears provided me with a recommended price list that looks reasonable if you really don’t want to do it yourself. Installing a smart door lock will cost $120, for instance. Installing a home-control hub plus three devices will set you back around $180, while a hub and 15 items will cost $330. Installing a smart light switch or power outlet costs $120, which is a little higher than what my local electrician charges, but his services don’t include integrating the device into the rest of my connected-home system. The next step for Sears, according to Ciovacco, is to roll out smaller versions of its connected-home setups in 200 additional Sears stores across the United States over a three- to six-month period. Those displays will be more product focused, with about half the number of SKUs in stock, and they’ll be staffed by the existing employees who sell other electronics devices, too. But buyers will get the same tech support and custom-installation options no matter how they shop. 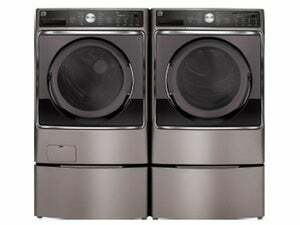 Sears offers two ways to shop for connected-home products online. This top-down view of a home helps you find products by the room in which they'll be installed. This being 2015, Sears has also built out its online presence, so that consumers can buy its complete product line without needing to set foot in a brick-and-mortar location. The online store is organized into five segments: Simply Secure (smart locks, home security cameras, garage-door controllers, etc. ), Simply Automated (lighting controls, thermostats, and the like), Simply Connected (routers, smart appliances, and even NAS boxes), Simply Entertaining (streaming boxes, smart TVs, remote controls, and so on), and Simply Fit (fitness trackers, Wi-Fi bathroom scales, and similar products). 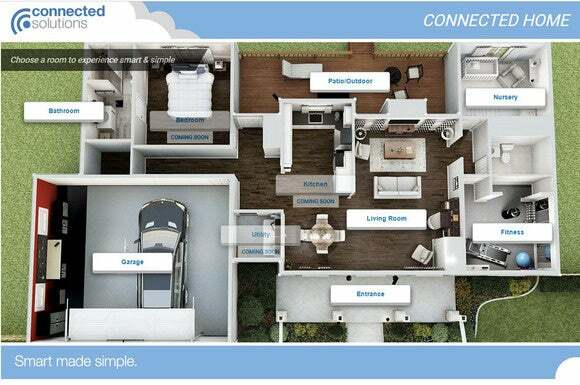 Online shoppers can also use a top-down view of a connected home to shop for products as if they were in one of Sears’ Connected Solutions mini stores.